Sun Investigates team members Doug Donovan and Jean Marbella spent a year examining Baltimore’s court system for landlord-tenant disputes. They spent dozens of hours observing court proceedings and touring tenants’ homes, interviewed dozens of tenants, landlords, officials, and analysts, and reviewed thousands of pages of court filings and other documents. 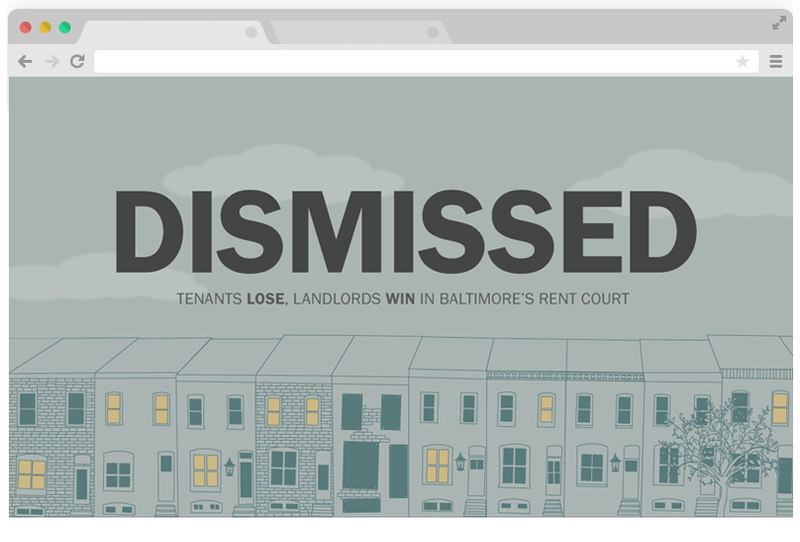 Their findings supported the notion that Baltimore’s rent court system favors landlords in disputes with tenants, who are ofter poor and disadvantaged. My team did extensive data analysis, created graphics, data visualizations and an interactive presentation for this groundbreaking series.